Ensemble Pour La Différence helps social businesses in Eastern Congo to emerge and scale and in so doing bring economic progress and improvements to life quality for the Congolese and their communities. Our core belief is that entrepreneurs have the capacity to create a more sustainable and happier life for the world as a whole by using their skill and energy to develop solutions that lead to a more equal society without further damage to the environment. The situation in Eastern Congo cries out for a new way forward, and despite the problems, we think Ensemble Pour La Différence offers a solution for the region. We are working to succeed in terms of daily benefit for everyone in the region, and to show other countries that the people of Eastern Congo have the spirit and capacity to lead and become models for a better life for all. Ensemble (DRC) is based in Bukavu, South Kivu and registered as a cooperative. We have a full time Congolese team that identifies social businesses and project opportunities, organises financial support (usually in the form of recyclable loans), provides mentoring, and monitors progress. The loans are offered to social businesses at an affordable interest rate and with flexible terms so that we can collaborate to achieve the common aim of benefiting people in the region. There are now 12 businesses are working with us in this way. Repayments are recycled into new loans, sometimes to help grow the same business and sometimes to start new social businesses. Ensemble (UK) is a registered charity whose aim is to raise money and organise practical support from entrepreneurs in Europe and channel it into the activities managed by Ensemble (DRC). There is now a wide group of people in Europe offering funding and practical support. Ensemble (UK) also evaluates success and progress against mutually agreed targets. Harriet practised law and served on the Board of Clarks Shoes as a family director. She was on the board of the of South London and Maudsley NHS Foundation Trust and a trustee of the Maudsley Charity. Nigel spent 18 years at Carphone Warehouse, where he was CFO from 2010 until its merger with Dixons in 2014. He is a NED at TalkTalk Telecom Group PLC and is a trustee at a number of other charities. The Congolese are naturally entrepreneurial. They are also hard working and don’t ask for handouts, only for support to get things moving forward. They know their country is lagging far behind and that progress must be fair and shared amongst everyone. They understand Ensemble and what we do and wherever we go and whomever we talk to, the response to our work is always positive. On a wider scale, we are not the first to advocate entrepreneurialism for the greater good and the development of social businesses as a means to rebuild a society. There are many studies that have reached the same conclusion. We are not alone in our thinking and the way ahead is understood. The United Nation’s Development Program’s work and experience in this area argues that post-conflict recovery strategy and policy should be anchored in the local engines of economic recovery. The International Labour Office states that job creation provides communities and individuals the means for survival and recovery and offers a constructive and positive alternative to social unrest. The Donor Committee for Enterprise Development demonstrate that private sector development has a crucial role to play in post-conflict situations. The Congo's wealth of natural resources is no secret. Throughout the last century, large corporations established themselves and profited from using Congolese rubber, palm oil and copper. Today, it is coltan from Congolese mines that is in demand for use in mobile phones, tungsten in medical instruments and cobalt in batteries for electric cars. The mineral wealth alone is valued at more than the GDP of the USA and Europe combined. Some authorities estimate that the agricultural land is sufficient to feed all of Africa. Add to this the environmentally important forests and it would not be an exaggeration to say Congo is of strategic value to our planet. Yet it is one of the poorest countries in the world with 77% living in extreme poverty. Half the nation's children are stunted. The reality is that entrepreneurialism has prospered individuals and corporations at the expense of the people and has opened the door to corruption and conflict leading to the death of more than 3 million people in the last 20 years. Life today is not getting better. 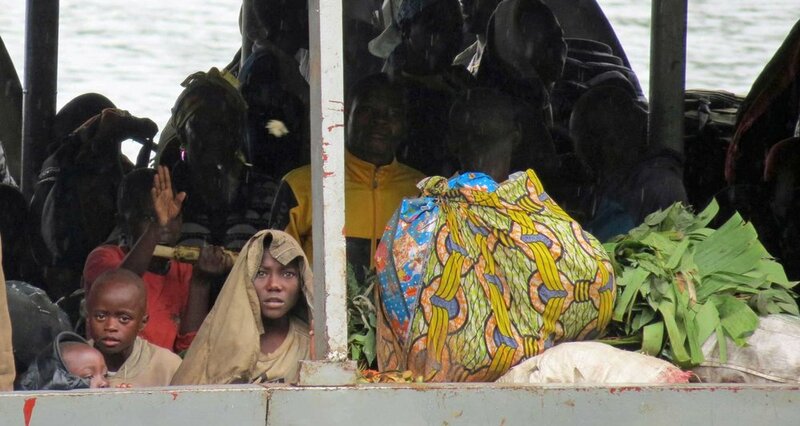 Inflation is currently over 50%, and more people are fleeing conflict in Congo than any other country in the world.